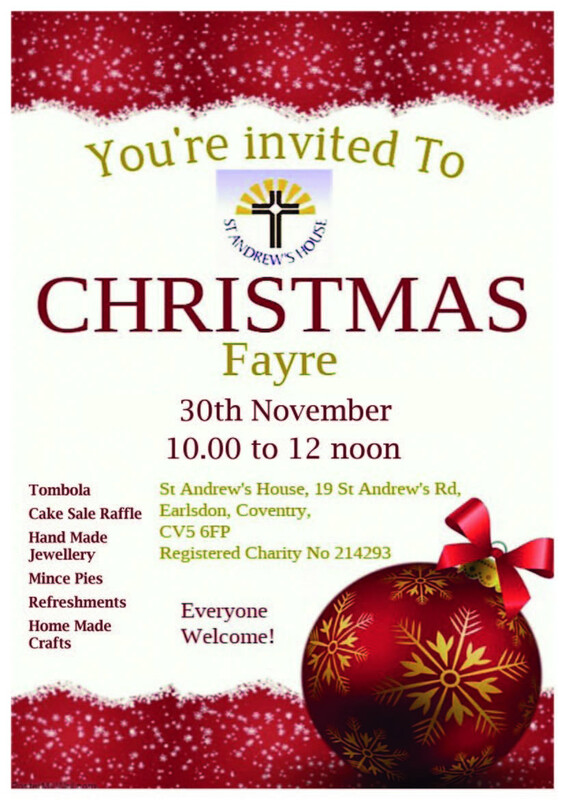 Our Christmas Fare will be held on St Andrews day this year – November the 30th. We invite everyone to attend. there will be a raffle and other activities and lots of goods for sale. all the proceeds will go to St Andrews House for our members activities. © 2018 St Andrew’s House.